Jimmy Fallon Goes Nuts on Andy CohenAnd Mindy Kaling’s vocabulary needs updating, badly. Steve Martin and Martin Short Prove They’re Best FriendsWe always knew they were amigos, but now it’s official. Cardi B Is Co-hosting The Tonight Show Next Week [Excited Chirping Noise]Money moves, indeed. Alicia Vikander Was a Child Lip-Sync Star, Which Is Apparently a Thing in SwedenShe won a TV competition by performing a Swedish ballad. Clarkson Sings Google-Translated Songs So Well You’ll Think They Make SenseNobody in the world is better at belting gibberish. Here’s Justin Timberlake and Jimmy Fallon Just Singing an Entire ConversationBlame Kohl’s. Jessica Chastain Explains How to Play Female Roles in Movies: Just Do NothingChastain and Fallon swap stereotypical roles for a sketch. 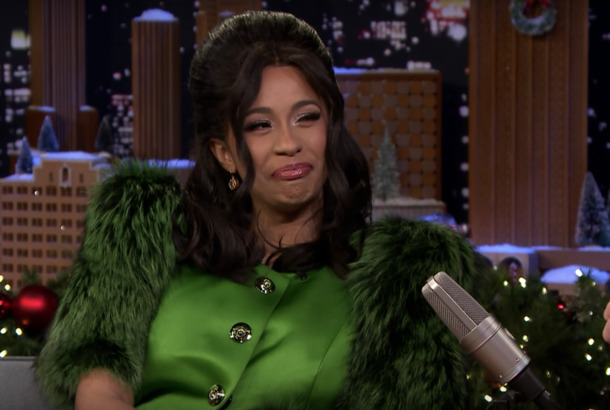 Watch Cardi B Charm Jimmy Fallon Into Silence With Her Vocal SkillsThe Tonight Show host seemed confused by her delightful use of chirps. Darlene Love Sings ‘Christmas’ on Fallon, Restores Order to This Chaotic WorldFeaturing lots of white turtlenecks. Jimmy Fallon and Jon Stewart Swap Pants for Charity and Love of PantsJust two Sisterhood of the Traveling fans having a good time. 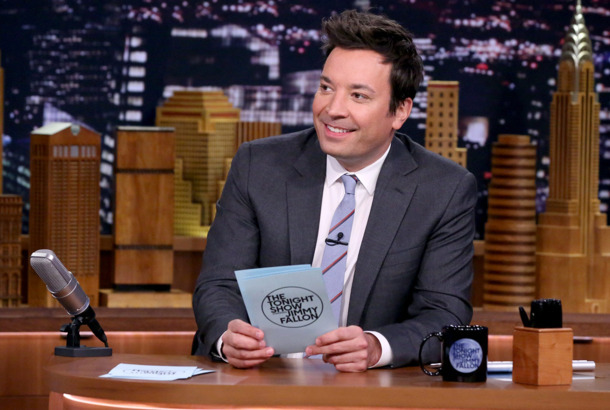 Jimmy Fallon’s Mother, Gloria, Dies One Day After Canceled Tonight Show TapingShe was 68. Jimmy Fallon’s Favorite SNL Sketch Involves Him Ruining It With His LaughterCowbell can do that to a man, we guess? Hilarious It’s and Backwards ‘Gone Been U Since’ Sings Clarkson KellyWant I what! Get I now! Justin Timberlake Confirms Super Bowl Halftime Show Via Jimmy Fallon Freak-outOh, fun! We’re going to need at least a Janet cameo though, or else this whole thing is a nonstarter. Jimmy Fallon Quietly Had Some of the Week’s Most Creative Musical PerformancesMost people saw Chance the Rapper on Colbert, but don’t sleep on Fallon. Meet the Sound Guy Who Can’t Stop Openly Weeping During This Is UsJimmy Fallon goes behind the scenes on TV’s crying-est show. What It’s Like to Interview With SNL’s Notoriously Difficult Lorne MichaelsColin Jost didn’t do himself any favors. Sarah Paulson Does Impressions of Holly Hunter and Drew Barrymore; They Are GoodMake way for American Impressions Story. Riz Ahmed Delivers Spoken-Word Performance in Response to CharlottesvilleJimmy Fallon personally requested the a cappella performance.